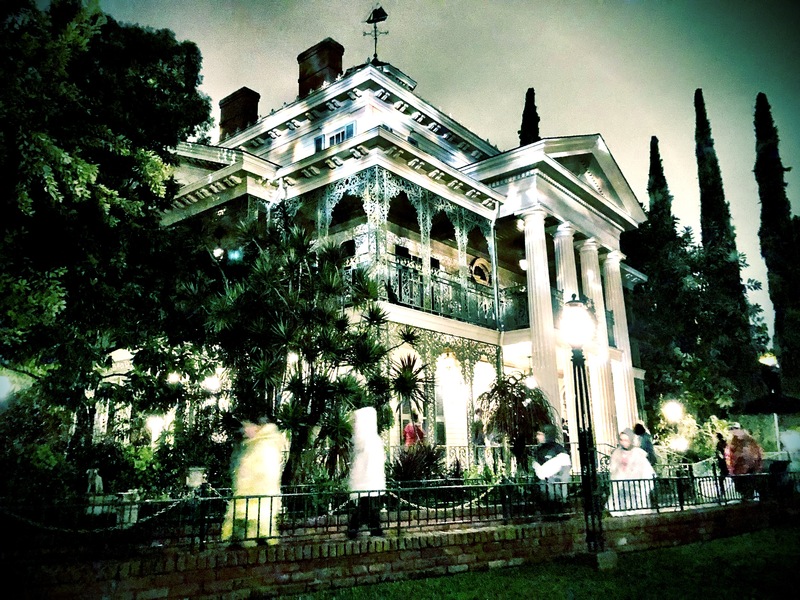 HAUNTED MANSION’S 50TH ANNIVERSARY TO BE CELEBRATED AT MIDSUMMER SCREAM 2019 WITH MAJOR PANEL PRESENTATION, GRIM GRINNING GALA PARTY, CURATED SHOW-FLOOR SPACE, AND MORE! It’s hard to believe, but Midsummer Scream 2019 is almost here! You can smell the fog, you can hear the screams, you can taste the delicious beverages and you can almost hear the news from the major panels. Since its creation, Midsummer Scream has been the destination for Halloween fanatics to receive their Halloween fix before fall comes to SoCal. With its incredible lineup of panelists, panel topics, vendors, shows, haunted attractions and show-floor; Midsummer Scream is unparalleled. What we have come to call “The Comic Con of Halloween”, Midsummer Scream has something everyone. Lucky for us, we finally have our first tidbit of news regarding this years event. Below you will find information about the first panel announced for 2019, as well as some other haunting sweet morsels of information. 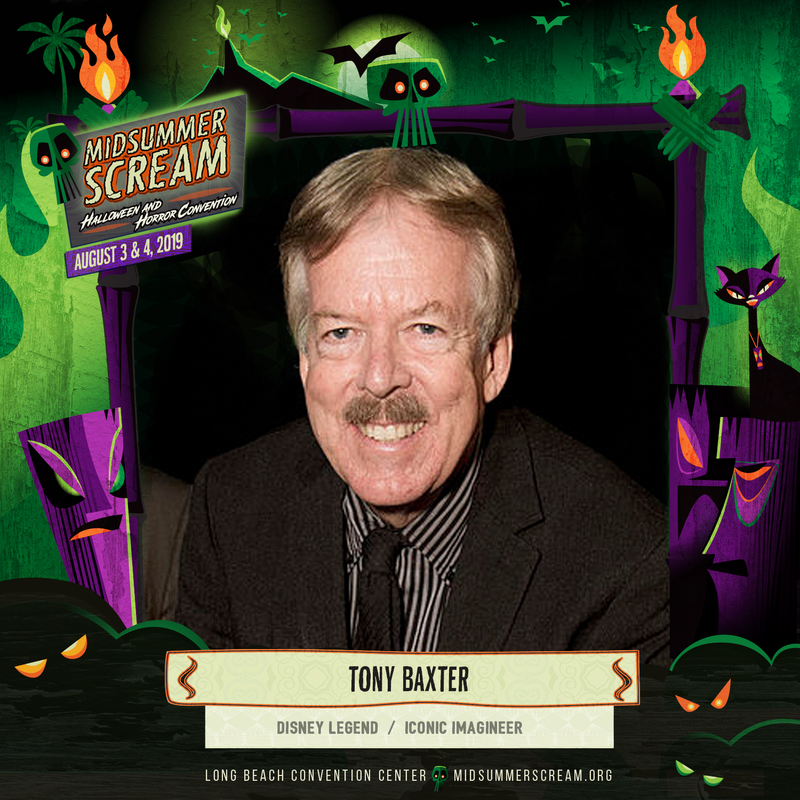 Midsummer Scream, the world’s largest Halloween and horror fan convention, is set to celebrate the 50th Anniversary of Disneyland’s Haunted Mansion throughout the weekend at the Long Beach Convention Center August 3rd-4th. On Saturday August 3rd, Midsummer Scream’s first major presentation will be “A Chilling Legacy: 50 Years of Disneyland’s Haunted Mansion”. On stage in the Grand Ballroom, guests will enjoy a… spirited discussion between Disney Legends Tony Baxter (iconic Imagineer) and Bob Gurr (designer of the Mansion’s Doom Buggy ride system), American film producer and author Don Hahn (Beauty and the Beast, The Lion King, The Haunted Mansion), and themed entertainment writer and creative director Jason Surrell (The Haunted Mansion: Imagineering a Disney Classic, The Art of The Haunted Mansion). Doug Barnes of The Season Pass Podcast will moderate the presentation, which will be peppered with ghostly tales and never-before-materialized images of the world’s most famous haunted attraction! More ghoulish delights are to be had on Midsummer Scream’s massive show floor along the Corridor of Creepy Creeps, where a specially selected group of creepy creeps will be found vending all manner of Haunted Mansion-inspired merchandise, art, and things that go bump in the night. 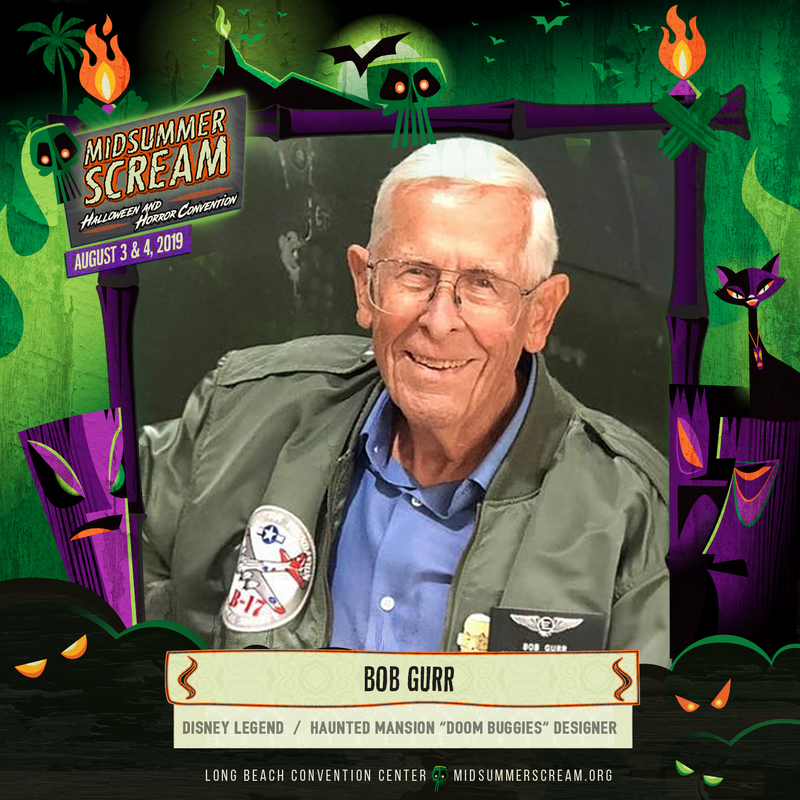 Disney Legend Bob Gurr will be on hand to meet and greet guests all weekend at the Haunted OC booth, and voice actor Kat Cressida (the Bride in Disneyland’s Haunted Mansion) will be nearby, on the lookout for her next “late husband”! Other vendors ready to help you haunt your home include Abracadaver Productions, Topher Adam Backdrops, Jasper Anderson’s Mr. Chicken’s Prop Shop, and Creepy Kingdom (creators of the Foolish Mortals documentary). 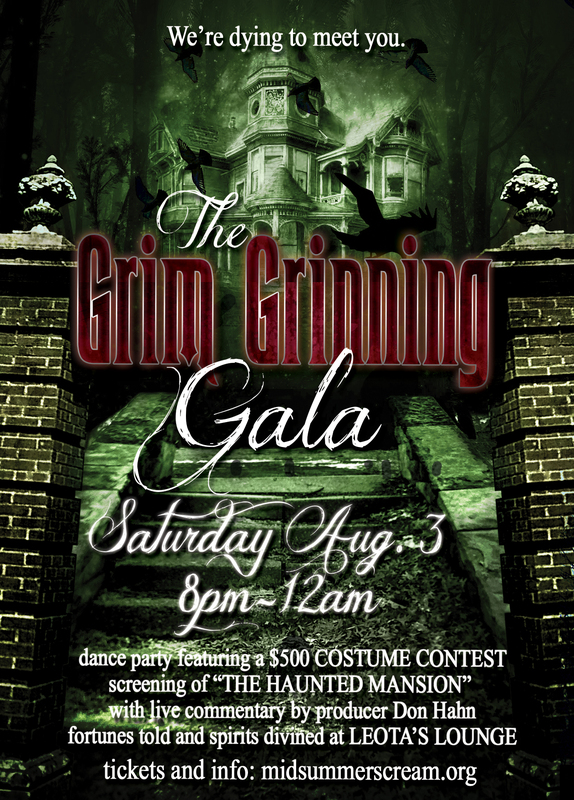 Once night descends on Long Beach Saturday August 3rd, Midsummer Scream After Dark will host its after-hours party – the Grim Grinning Gala ($15 for a limited time) – from 8PM to midnight at the Convention Center. During this swinging wake, guests will be treated to a screening of The Haunted Mansion with live commentary by the film’s producer, Don Hahn. Further along the Convention Center’s corridor of doors, guests will also have access to Leota’s Lounge, complete with tarot card and palm readers, mediums and divinations from regions beyond. In the Grand Ballroom guests will mix, mingle, and dance the night away, where they will also witness one foolish mortal win the $500 First Prize in Midsummer Scream’s costume contest! 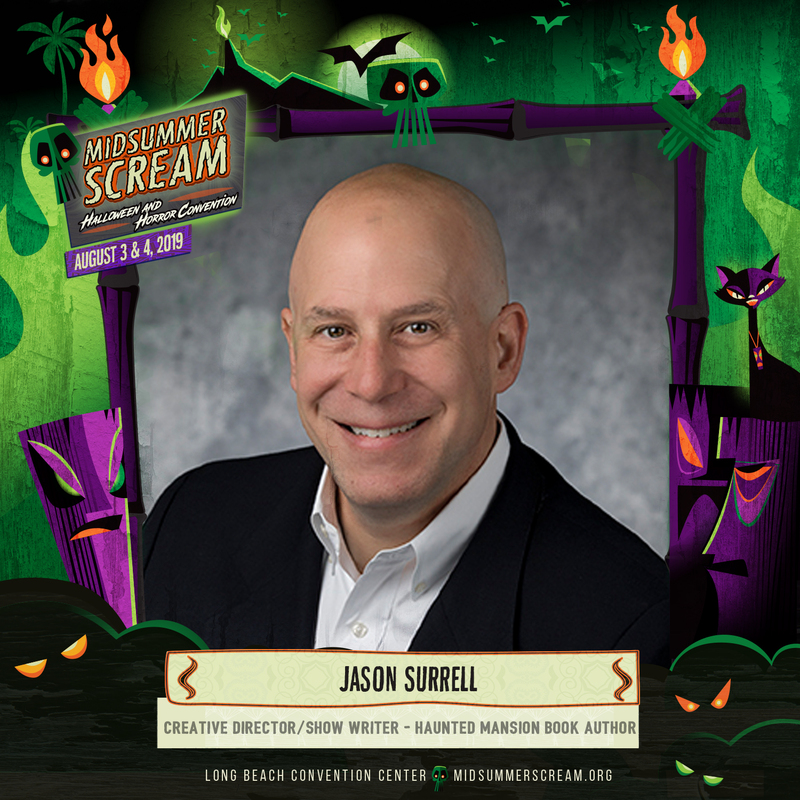 On Sunday August 4th, the happy haunting continues at Midsummer Scream as themed entertainment professional and author of multiple Haunted Mansion books, Jason Surrell, hosts a seminar on the importance of storytelling, from haunted houses to major theme park attractions. Jason’s presentation will also take a look at The Haunted Mansion franchise and variations around the world, including Phantom Manor at Disneyland Paris, and Mystic Manor at Hong Kong Disneyland. Tickets are on sale now at MidsummerScream.org. More news and information regarding Midsummer Scream 2019 will be announced in the weeks and months ahead. 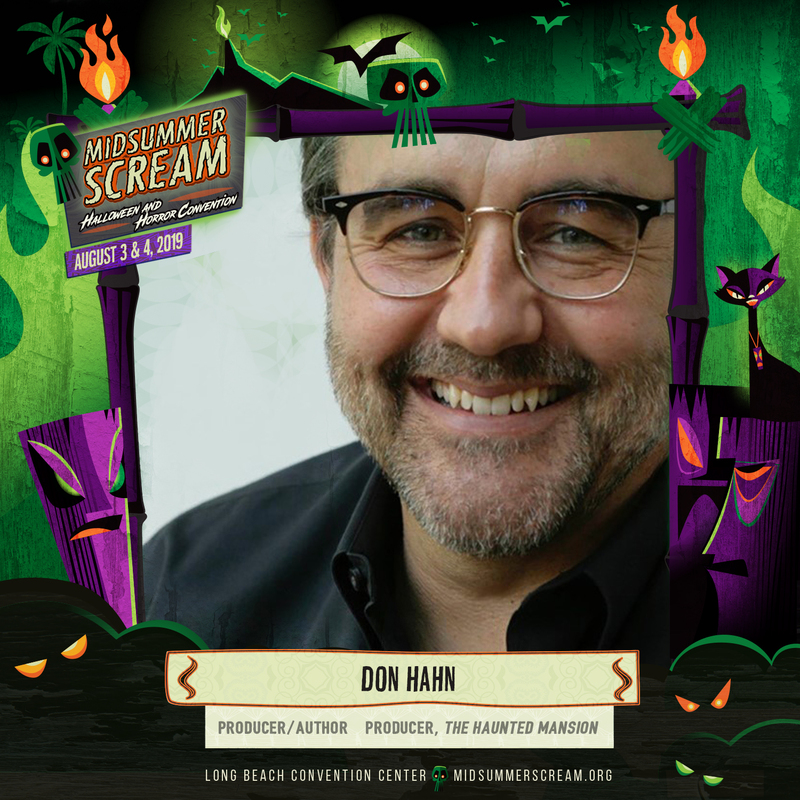 Midsummer Scream is presented by David Markland (Executive Director), Gary Baker(Executive Producer), Claire Dunlap(Supervising Producer), and Rick West(Creative Director). Its goal is to showcase the diversity of Southern California’s haunt and horror community as a welcoming beacon for fans around the world to converge on Los Angeles for a weekend of excitement, networking and non-stop spooky fun! Be sure to follow Midsummer Scream on Facebook, Instagram, Twitter, and Periscope for breaking updates and information.